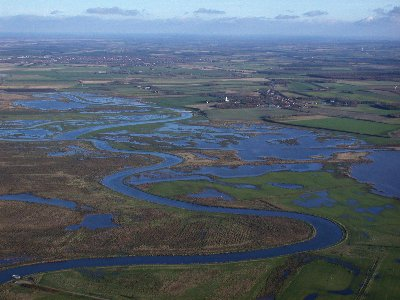 River Skjern is the 2nd largest river in Denmark and drains the western part of the peninsula Jutland. The river was channelized and wetlands in the floodplain were drained in 1960. The river was restored from 1999-2002. This project is the largest single restoration project in Northern Europe.